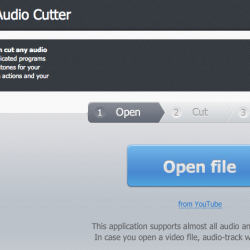 You are about to use an online mp3 cutter. How often do you want to cut a part of a mp3 that you really love and make it, for instance, a ringtone on your mobile phone? Previously, you would have needed to look for complicated and rare sound format conversion and editing software. Well, now you can leave it all behind. With free services provided by the "Mp3 cut" website, the mp3 cutting process has become much more simple, fast, and convenient. You will face no difficulties. First, press the "Upload mp3" button, choose the desired file and wait till it is uploaded and ready for processing. As soon as the file is available for editing, (it depends on the speed of your Internet connection) the track will become pink slightly below the indicated button and the play button will become red. Now you can crop mp3. 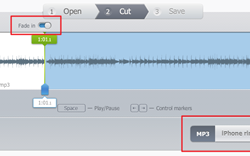 You have two sliders, which indicate the beginning and the end of the song fragment. Got it? 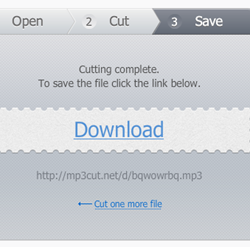 Then, press the “Cut mp3 and Download” button. The download will start immediately. Now that the file is downloaded, you can upload it to your mobile phone. This is the basic concept of simple split mp3 software offered by Online MP3 cutter. Of course, you can always download free mp3 cutter program, but as you’ve already ascertained, this website’s service is much more user-friendly and saves precious time.